Hi friends. August is a busy busy month for me. Because the first Friday of September is Teacher's Day. So I had quite alot of orders the past month. So I haven't had the time to do my own crafting. And boy, I missed crafting. 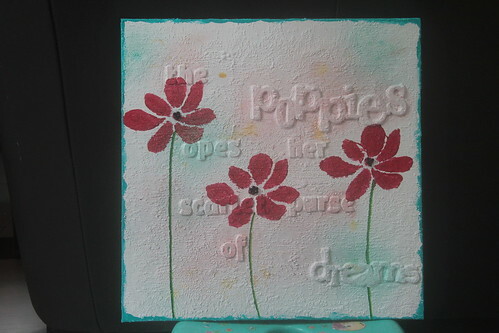 Its a different kind of feeling when you are crafting for orders and crafting for own pleasure. And I missed my mixed media fun!!!! 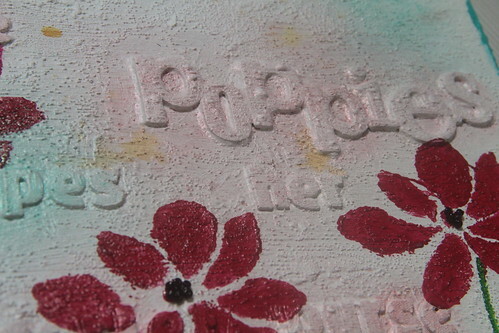 Ironically, today I'm sharing a mixed media project I made few months back. 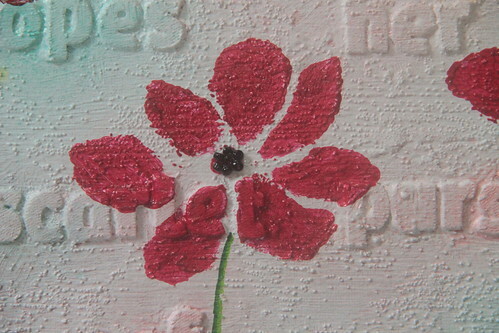 I actually take a finished canvas and altered it. I think I haven't share that original piece too. 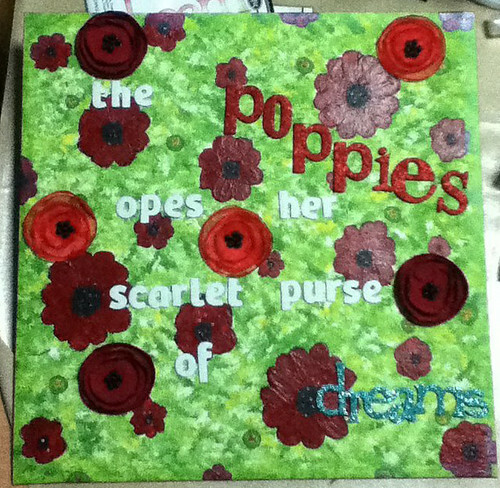 Well, I made a poppies canvas for a local scrapbooking challenge facebook group. After that, I kept looking at it and was not pleased with the look. So I went ahead and altered it again. This is the original piece. Ugly, right? I hope you get inspired to alter any art piece that you are not happy with. Instead of throwing away, alter it! Till you are pleased!! Art is always evolving!! I got more past projects to share. Do keep a lookout.